Belle lives in Paris. She's a city girl through and through, who knows its rhythms, its avenues, its people and its sounds. And everything she sees or hears is recorded in her journals. Every summer, however, Belle leaves all that's familiar to her to spend a month or two with her grandparents in the country. Each year, her grandfather gives her a special gift: a hobby horse, a tree house, an easel, and this year, a bicycle (her mother's old one, beautifully restored and repainted). Now, for the first time, Belle can explore the countryside all by herself! Off she pedals … and pedals … looking at the fields around her, the clouds in the sky and the tops of the trees swaying in the breeze; but not looking at the tree root that she crashes right into, sending her flying off her bike. Worse than her damaged pride and bruised knee is the fact that Belle now realises she's lost. And she doesn't understand the country in the same way she does the city. Fortunately, a small, friendly bee comes to her rescue. And even more fortunately, the bee can talk! 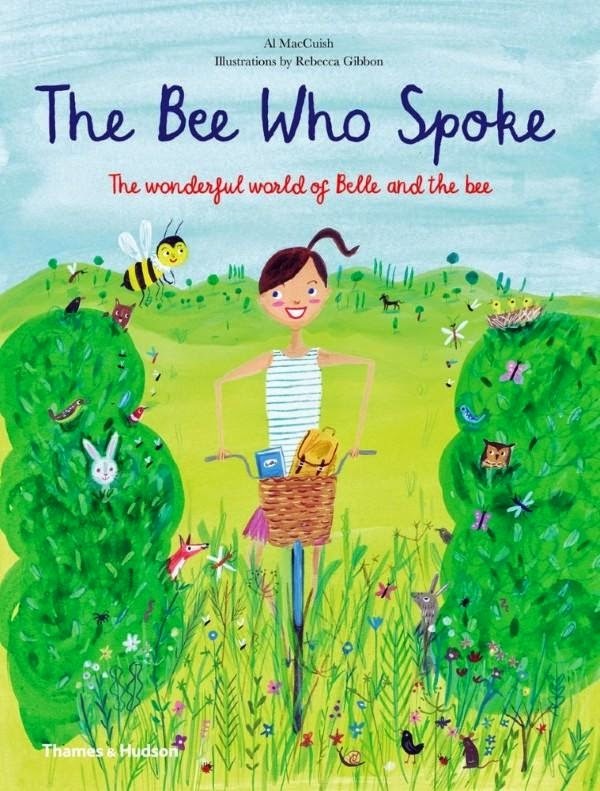 He takes Belle on a wonderful adventure, showing her how the Arnica flower can be used to produce an oil that helps ease bruising, and explaining the vitally important role bees have in helping things to grow. After all, without bees for pollination, there would be virtually no fruits or vegetables for us to eat! This is a delightful look at the role each individual plant or animal plays. As Belle learns, 'A place and purpose for everything — that's the beauty of nature.' It's a wonderful book for the budding scientist or botanist, or simply for introducing children in a very accessible way to the concept that all life, whether plant or animal, forms part of a great interconnected web.